Tokyo Metropolitan Government announced that new Tokyo Gate Bridge is opening to traffic on 12th February 2012. 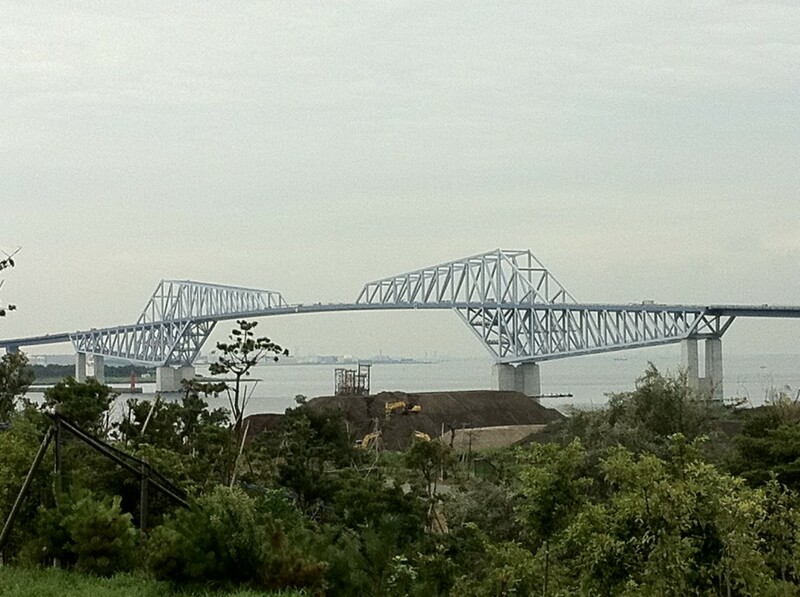 The picture above was taken from “Umi-no-Mori” ( Sea Forest ) park which opens to the public only twice a year. They say this bridge will be famous like Rainbow bridge (tokyo). We look forward to the opening because it is said to be in the neighborhood environment for large vehicles is greatly reduced through Odaiba and Ariake available per bridge. After the opening of this bridge, you first can go to the park by bicycle. See “Umi-no-Mori” ( Sea Forest ) project. Only three groups (three generations couple) can first walk the bridge at opening day as a event.